At Montgomery Family Law, our award-winning divorce lawyers have decades of experience to help you reach a stronger future. Top-rated for ethical standards as well as legal ability, we are known for our insightful, caring counsel. Our N.C. Board Certified Family Law Specialists have the proven expertise to guide you through every step of your personal legal matter. Each of our attorneys practices family law exclusively, focusing 100% of our resources and attention on divorce and family law cases. Our divorce attorneys have served families in Wake County for decades and the firm has been included in the 2016 list of Best Lawyers in America®. Divorce and other family law matters involve the most personal, complex, and important issues a person will likely ever face. At times like these, you need a skilled and trusted advisor. At Montgomery Family Law, we are here to help. 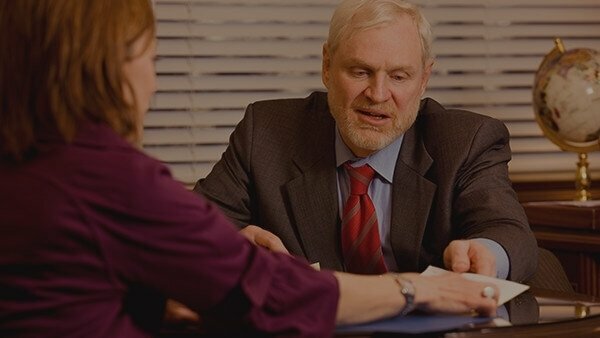 With more than 60 years of combined family law experience, our dedicated legal team includes three N.C. Board Certified Family Law Specialists (a distinction achieved by less than 1% of N.C. lawyers), as well as a DRC Certified Family Financial Mediator. We are experts in family law, able to help you achieve an efficient resolution out of court through smart negotiation. When aggressive litigation is necessary, our expertise can see you past this challenge with your rights fully protected. Whatever family law issues you face, let us help you move forward. Our team of professionals is ready to provide the personal service and wise counsel you deserve. Call (919) 348-2317 for your initial consultation. Charles is an award-winning Family Law Specialist with several decades of experience. Scott has earned his certification as a Family Law Specialist by the North Carolina State Bar. Lynn is a Family Law Specialist who has focused on adoption and family law in North Carolina for a decade. Laura is a trial lawyer who has served as Treasurer of the North Carolina Bar Association Family Law Section. At Montgomery Family Law, we focus 100% of our attention and resources to family law and divorce cases. We are committed to handling your legal matters according to the highest standards of the profession, always treating you with respect and courtesy. Our experienced team is known for meeting the highest standards in ethical conduct and legal skill, garnering the top rating of AV Preeminent® from our peers. Our founder has also been included in the 2009, 2017, 2018, and 2019 list of Super Lawyers®, joining the top 5% of attorneys in the state after a rigorous, patented selection process. Due to our proven dedication, results, and expertise, our firm has been listed in Best Lawyers in America® four years in a row from 2016 -2019. In addition to all these recognitions, three of our attorneys are Board Certified Specialists in Family Law, joining the less than 1% of North Carolina attorneys who have earned this distinction. When you and your loved ones' futures are involved, you deserve to have excellent legal counsel on your side. At Montgomery Family Law, you can depend on our exceptionally qualified attorneys. Please don't hesitate to see how our Cary divorce attorneys can be of service. Call 919.348.2317 or use our online form to request your initial consultation.